In our exclusive, wide-ranging interview with Tucker Carlson, he takes on the ruling class, the elites on both the Left — and the Right, and discusses his time at Fox News so far, and his new #1 bestselling book in the country, titled: Ship of Fools: How a Selfish Ruling Class Is Bringing America to the Brink of Revolution. You don’t want to miss this interview! Check out the Ship of Fools audiobook, read by Tucker Carlson himself, HERE! 3:05 Carlson realized that no one in America was offering serious answers to the critical question: “Why did Americans elect Donald Trump?” In Ship of Fools, he dislodges the “ludicrous” explanations for Trump’s elections (including Russia and racism) to reveal the real answer – Americans were angry with the ineffective leadership from both the left and the right. 5:20 Carlson dissects the mindset of the ruling class, and calls out Jeff Bezos, Mark Zuckerberg, and Bill Crystal! 8:00 Discover what happened to liberals in America – how a party who once worried about concentration of power and big business got paid off by the biggest companies in America, like Apple! 11:50 How do we right this ship? Carlson says we need to fight the authoritarian impulse of the government, that tells people just to “shut up and obey.” Instead, the government needs to listen to the people and actually address voters’ concerns. 14:05 Carlson tells us what he loves about Trump, but also points to one of the president’s weaknesses. Tucker Carlson has been a mainstay of conservative journalism for over 20 years. Currently, he hosts Fox News Channel’s highly rated Tucker Carlson Tonight. He also co-hosts FOX & Friends Weekend and has been with FOX News Channel for 9 years. As a magazine and newspaper journalist, Carlson has reported from around the world. He has been a columnist for New York and Reader’s Digest. He has also written for Esquire, The Weekly Standard, The New Republic, The New York Times Magazine, and The Daily Beast. Carlson graduated with a B.A. in history from Trinity College. Now, he lives in Washington, DC, with his wife and children. In Ship of Fools, Tucker Carlson tells the truth about the new American elites, a group whose power and wealth has grown beyond imagination even as the rest of the country has withered. 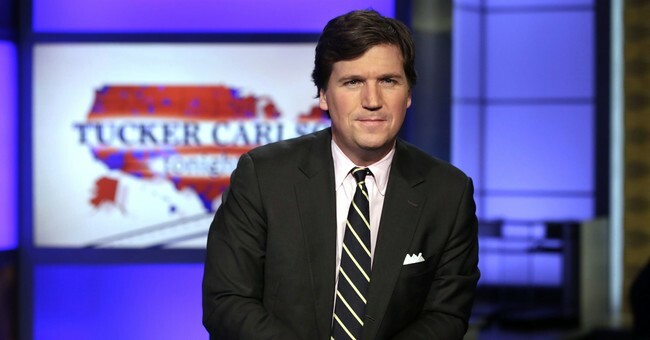 Read more about Tucker Carlson, and don’t forget to follow him on Twitter! Grab your copy of Ship of Fools! Listen to Tucker Carlson’s narration of the Ship of Fools audiobook! Check out some of Tucker’s favorite books, including the “Flashman” series by George MacDonald Fraser, and one of his favorite flyfishing authors, John Gierach!